My First Spokane Hoopfest started when I landed at Spokane Airport at 11:55 PM on Friday night. 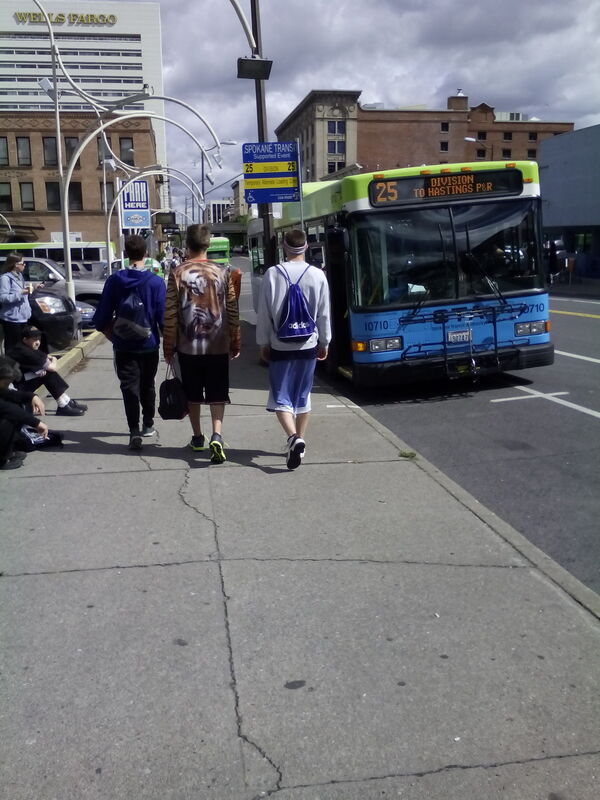 I gathered my belongings from the overhead compartment, walked out of the airport, and boarded the shuttle to my car. I was excited for the upcoming weekend, and exhausted from a long week in Anaheim, California. I was in Anaheim building a stronger PE program thanks to Anaheim City’s PE department head, Tammie Bernal, and the company I hang my hat on, Focused Fitness. The shuttle dropped me off; I tipped the driver, and headed for my ride only to find my window broken out. I was upset for two reasons. The first was because I was raised to respect things, and breaking out a window is not respect. The second was because there was nothing to steal…literally. There is no use crying over spilt milk though. I reported the incident, and got on with my night. I was tired, and I needed my sleep. After all, game one of Hoopfest was in less than 532 minutes, but who’s counting? Down the road I went, window broken, and rain coming down (can’t make this stuff up). I got home and went straight for bed. As my head hit the pillow I expected a REM cycle to kick in immediately. No such luck. My eyes wouldn’t even close. I was giddy. I was like a young child at bedtime Christmas Eve. I was so excited for the day to come I could hardly stand it! Instead of waiting for Reindeer paws and a “Ho Ho Ho,” I was waiting for the dribble of a ball and the crisp ‘snap’ of twine as it splashed through the net. 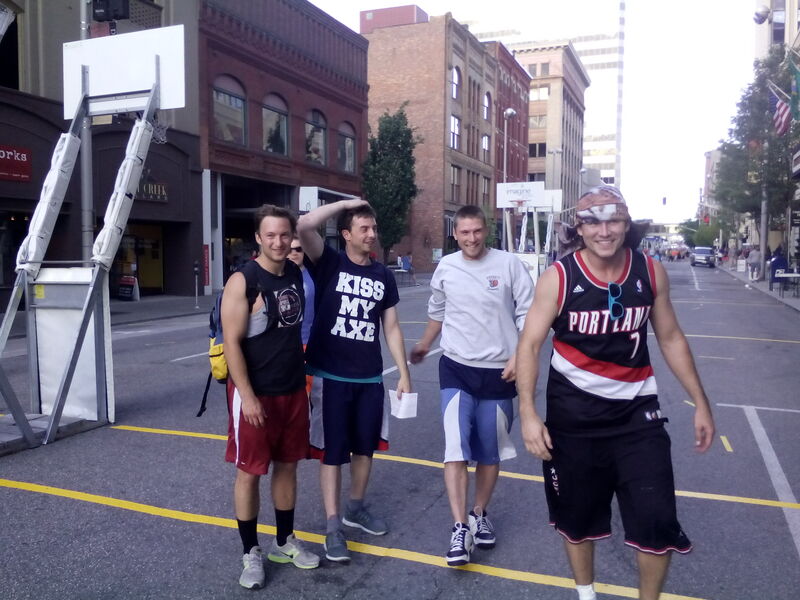 Hoopfest is the largest 3-on-3-basketball tournament on earth, and this was the 25th anniversary. Instead of counting sheep, I realized the only way I was getting some shuteye is if I counted ‘mid-range J’s’ (a jump shot from a middle range). It worked, and I woke up ready to go. Hoopfest was upon me. A few stats for your mind to digest: 6,905 teams; 250,000 people rolling through the streets of Spokane, Washington. This tournament (Spokane Hoopfest) creates smiles, memories, and relationships. This tournament is a stamp of fitness on society, and a vehicle for an Old School Social Network (OSSN). An OSSN is a network of people that can communicate and interact without technology. Now, I understand that the entire tournament is online and has Twitter accounts, Facebook pages, Apps, #’s, etc. However, I’m calling Spokane Hoopfest an OSSN because it would still happen without all of the technology. Would it be as big, as widespread, or as interactive? No. But, the Hoopfest show would still go on. 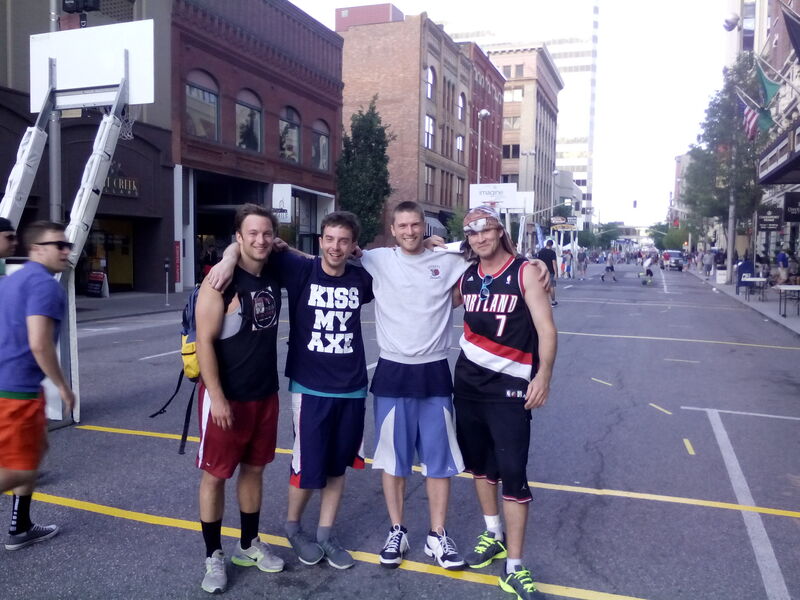 People would come to Spokane, and play 3-on-3 until the cows came home. My team made it to the second day. We played early, and lost early. Life goes on. It was an absolute blast, don’t get me wrong, but there is more to this event than playing in it. It is a culture. Dare I say, a religion. Hoopfest makes you feel like a kid again! I met up with friends, new and old, watched games of all levels, and most importantly…I exercised. That is what this all comes down to folks…exercise. 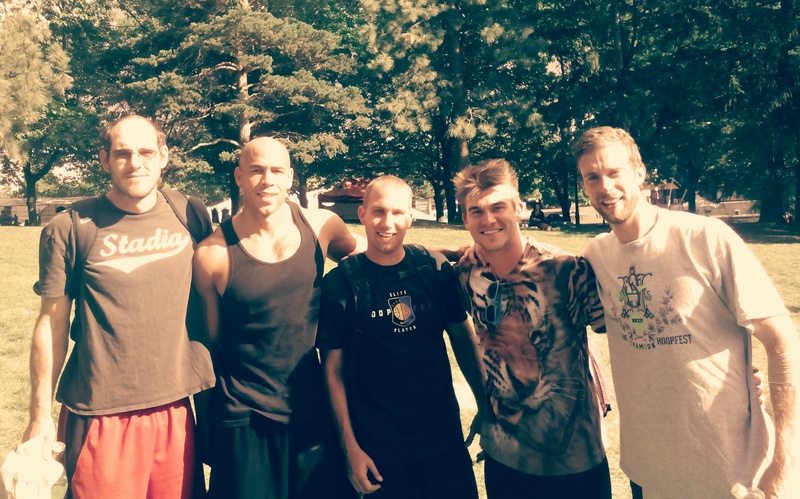 Hoopfest is not about how good you are at basketball. Hoopfest is an OSSN that promotes exercising. I’m enamored by it. Even though playing and losing in the tournament was a great workout, my exercise for the day had just begun. I walked well over eight miles after my tournament life was over. We need to create more OSSN based on exercise. I could ramble on about why Hoopfest stands for so much more than just basketball but, instead, I would like to pose a challenge to you. I wish you smiles, health, and plenty of exercise!